I must have been 10 when my mom and I first made this JELL-O marshmallow candy during a long weekend. I still remember we made red ones and had a blast! It’s an AWESOME cross between a marshmallow and gelatin. They are soft and jiggly like gelatin but not as chalky as marshmallows. You really need to make them to understand what I am describing…hehe. 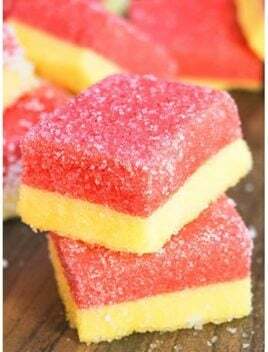 Typically, I have seen 1 flavor/color being used but my son and I were making them over the Thanksgiving holidays and we used 2 flavors/colors together and cut them into cubes. We also made some JELL-O pinwheels with 1 flavor and 2 flavors together. The results were INCREDIBLE and both of us enjoyed the 2 flavors bursting in our mouths…hehe. 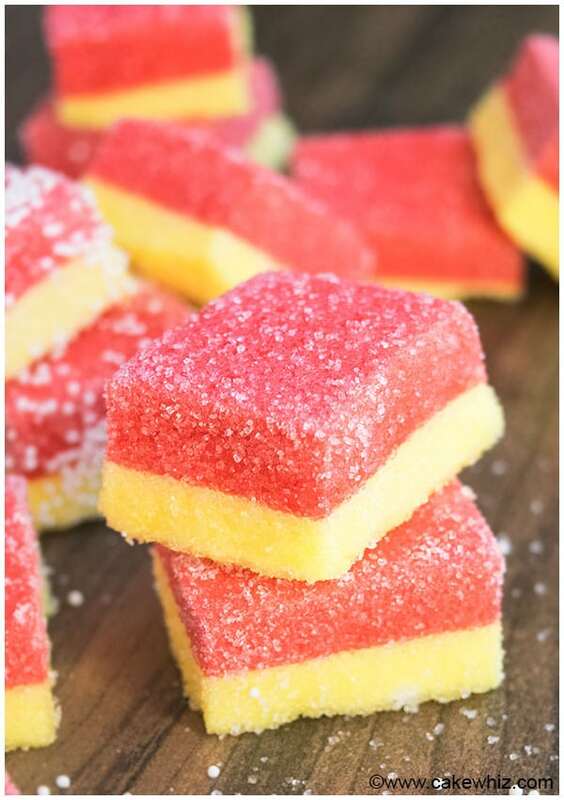 You can make them in a variety of colors (There are so many colors of JELL-O gelatin to choose from). 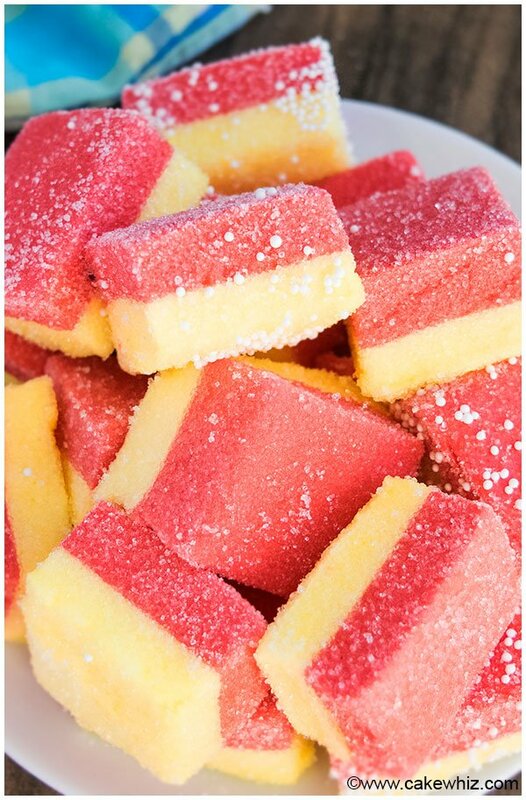 You can make them in a variety of flavors (There are so many flavors of JELL-O gelatin to choose from). 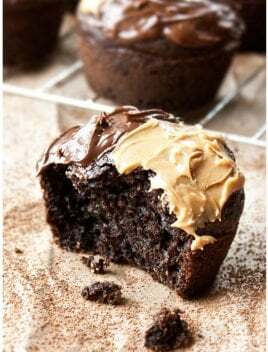 They are easy to make (Only 4 basic ingredients!). 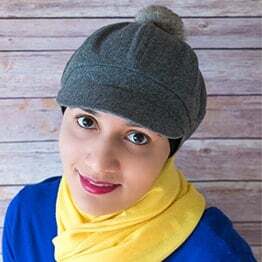 They are fun to make (Kids LOVE to make them!). There is no baking and no stovetop cooking. Make sure to OIL the pan before pouring the mixture so that it doesn’t stick to the pan. Use a NEW bag of marshmallows because the older stale ones don’t melt easily. 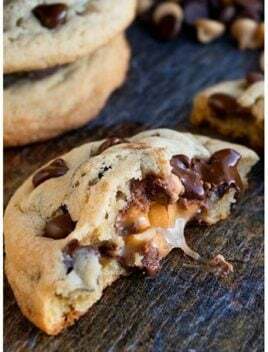 Make sure to whisk the mixture together very well to get rid of all marshmallow lumps or else the lumpy marshmallows with rise to the top and you will end up with 2 layers when the mixture sets in the fridge. When you flip over the set marshmallow mixture onto your table or cookie tray, make sure to line it with foil paper and spray it with oil. DON’T use parchment paper or wax paper since that will make a sticky mess. Use a sharp knife to LOOSEN the edges before you turn over the set mixture onto your table. Roll these marshmallow cubes in granulated sugar or sparkling sugar or some small white sprinkles to make them sparkly and fun. 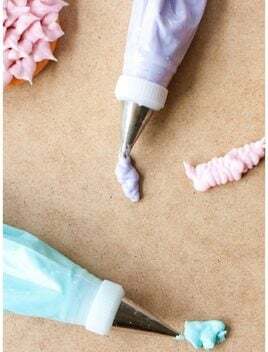 If you are making pinwheels, those can unroll easily and to avoid that, you can push a toothpick on the ends OR even stick a lollipop stick, which makes it great for serving at birthday parties. Use a 10×10 pan, ONLY if you are making 2 flavored pinwheels or else they will be too thick and hard to roll into a proper shape. If you are using 2 JELL-O gelatin flavors, make sure they compliment each other well. 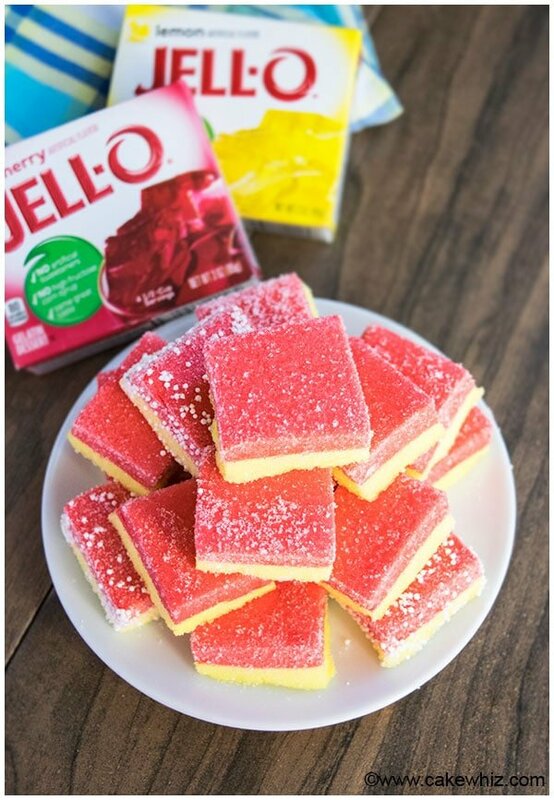 Also, if you are using 2 JELL-O gelatin flavors, you must let the first layer set before adding the second layer, in order to prevent the two mixtures from mixing with each other. How to make JELL-O marshmallow candy cubes or marshmallow pinwheels? 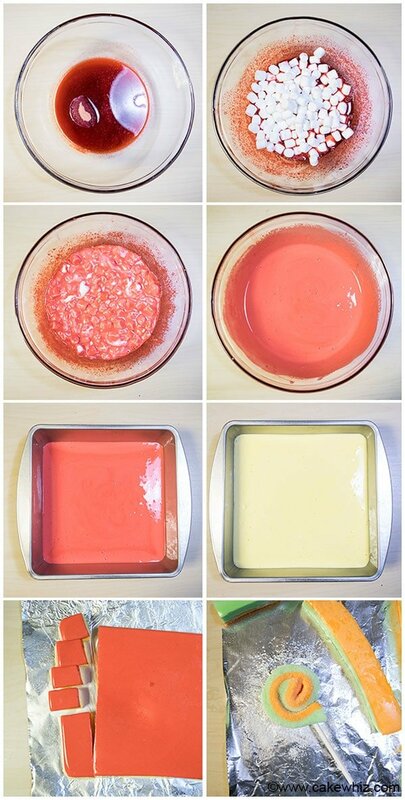 Start off by mixing together JELL-O granules and water together. Heat in the microwave, while occasionally whisking, until the granules are fully dissolved. Add marshmallows and heat again. Whisk everything until smooth. Pour into an oiled pan and chill until it sets. Run a knife around the edges to loosen it. 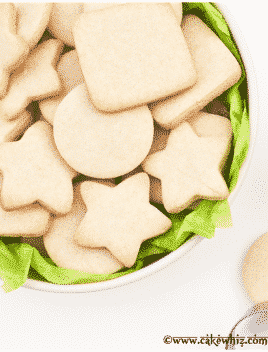 Cut cubes and roll them in a bowl of sugar or sprinkles. You can also cut strips and roll them into pinwheels. Enjoy! 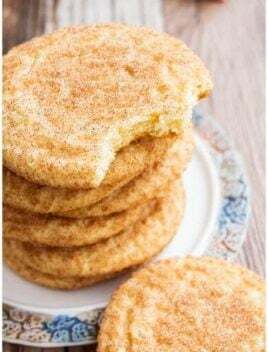 There is a printable recipe below and these step-by-step pictures should be helpful too. In a large microwave-safe bowl, add JELL-O gelatin and water and whisk everything together. Microwave for 1-2 minutes until gelatin is fully dissolved. Be sure to stop halfway to whisk everything together. Add marshmallows and microwave for 1-2 minutes or until they are slightly melted and "poofy." Whisk mixture together until smooth with no lumps. Pour mixture in a lightly oiled square pan (Dimensions: 9x9). Chill in the fridge for about 50 minutes. 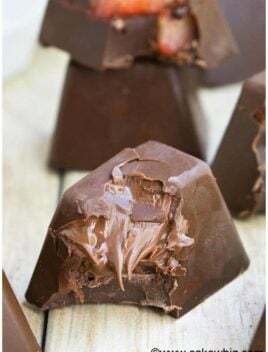 If you are adding a second layer of JELL-O mixture, follow steps 1-4 again and add the same amount of ingredients again and pour that mixture on top of this set layer. Chill for another 50 minutes. Once this marshmallow mixture has set, run a sharp knife around the edges. Then, flip it onto a cookie tray, lined with foil paper that's been sprayed with oil. Use a sharp knife to cut cubes. It helps to spray some oil on the knife blade to prevent it from sticking to the cubes and making a mess. Roll them in a bowl of sugar or sprinkles until fully coated and arrange them on a serving dish. 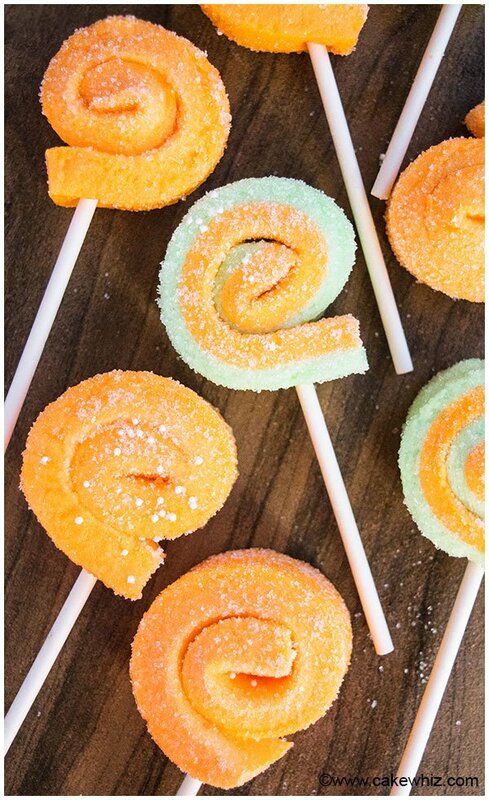 If you are making rolls, cut 1 inch strips instead of cubes and roll them from one end to the other end and push a lollipop stick to hold the shape. Sprinkle some sugar and enjoy! If you are using a 9x9 pan, you should get about 18-20 cubes or 18 pinwheels. Must be stored in the fridge and it's good for up to 2 days. Can I do the melting over a stove top? Yes, I don’t think that should be a problem.